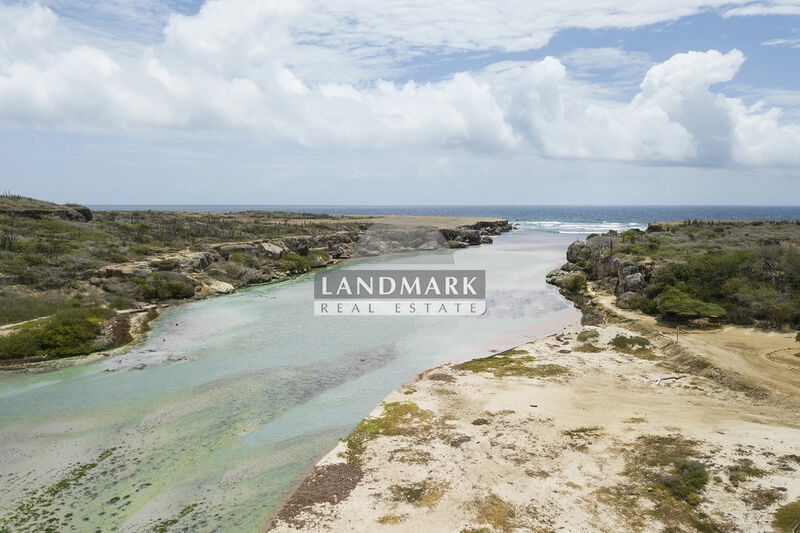 Located in the area that is better known in Curaçao as 'Banda Bou' , we offer this former plantation for sale, consisting of a plot of (freehold) land of about 255 ha (= 2,552,691m²). This former plantation is locally known as 'Plantage Ascencion'. This former plantation includes: - 'Boca Ascencion', a natural bay that is directly connected to the Caribbean Sea and has a natural sandy beach; - Access road from the main road (Weg naar Westpunt) to Boca Ascencion; - Various hills; - Various walking and cycling routes. In accordance with the Eilandelijk Ontwikkelingsplan (draft 1993), the current destination 'Conservation area' (= Art. 9 in accordance with EOP). The former plantation Ascencion and Boca Ascencion are known for its unique flora and fauna. Boca Ascencion is one of the breeding grounds for sea turtles in Curaçao. Historically, the former Ascencion plantation also represents a special value. On the former plantation you can find the ruins of an old copper mine. One of the most unique and unspoiled pieces of Curacao. The former plantation is now managed by 'Unique Curaçao' which also supervises the former plantation and regularly organize excursions and clean-up activities, such as the recent removal of the 'Sargasum-grass' Recently, the plot was measured in its entirety by the Land Registry and on the basis of this measurement a certificate of measurement was issued by the Land Registry. Unique in every way.